March was a big month for NVIDIA and our ecosystem of partners and developers. Our flagship GPU Technology Conference took place in San Jose on March 18-21, bringing together thousands of developers and industry leaders building the era of AI around NVIDIA’s accelerated computing platform. That same week, the Game Developers Conference in San Francisco galvanized the gaming community around ray tracing, with NVIDIA’s RTX technology ushering the next era of gaming. Our computing platform continues to grow. It accelerates over 600 HPC and AI apps, and is 1.2M developers strong – up 50% from last year. We power the fastest supercomputers. We are the engine of modern AI. Our CUDA accelerated computing architecture continues to expand to new domains of data- and compute-intensive industries. You can view hundreds of GTC sessions on the most important topics in computing, including AI/deep learning, data science, high performance computing (HPC), virtual reality, self-driving cars, robotics, and much more online. And in case you missed them, you can find our founder and CEO Jensen Huang’s GTC keynote and our Investor Day presentations here. Jensen’s opening keynote at GTC highlighted the key attributes of NVIDIA’s accelerated computing platform: PRogrammable, Domain-specific Accelerated Architecture – easy to remember as “PRADA.” Unlike accelerators that speed up a single function (e.g. a video or audio codec), CUDA accelerates domains of applications. This is how we balance energy efficient performance with large and expanding market reach. At GTC, we unveiled the CUDA-X brand for our platform of software libraries that help accelerate multiple domains of applications, from graphics to deep learning, machine learning and data analytics. 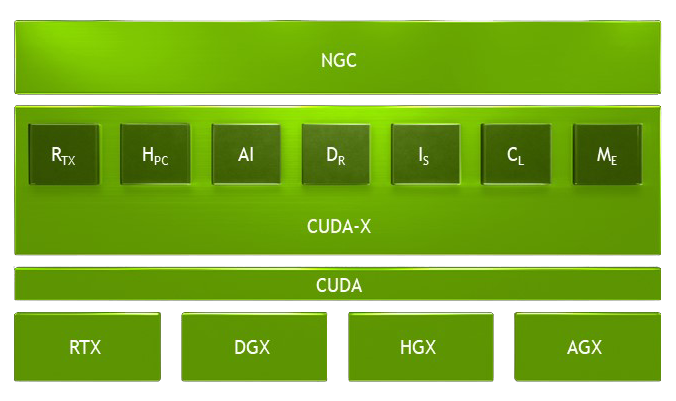 Leveraging the rich CUDA-X acceleration stack on top of CUDA, these applications can run on our large installed base of NVIDIA GPUs, defining our accelerated computing platform. This approach has propelled Datacenter to a $3B business, initially through scientific computing and deep learning training, and now expanding to address a wider set of workloads, including deep learning inference and data science. We estimate the target addressable market at $50B by 2023. In inference, we announced important customer wins at GTC, including Amazon AWS, Microsoft Bing, LinkedIn, PayPal, Snap, Twitter, Pinterest, Tencent and others, building on NVIDIA’s inference business which was in the hundreds of millions in fiscal 2019. We discussed the significant new data science opportunity, which we can now address thanks to a major body of software for data-center scale computing called RAPIDS. Think of RAPIDS as CUDA-accelerated Spark. Data science encompasses data analytics (preparing the data) and various AI approaches such as machine learning and deep learning to train predictive models on the data. More than 3 million data scientists worldwide use data analytics and machine learning to extract insight from big data across all industries. At GTC, we announced partnerships with the leading OEMs to bring to market the data science server (4x T4 GPUs) and data science workstation (2x Quadro RTX GPUs). Enterprises are racing to adopt AI. We are making it easier than ever for them to buy and deploy NVIDIA’s platform. We have partnerships with IBM, DellEMC, NetApp, Pure Storage, and DDN Storage to integrate and market NVIDIA DGX PODs – fully integrated DGX AI infrastructure from NVIDIA, storage and networking from our partners, power, cooling and more. And we have taken the complexity out of deploying the software, with pre-trained models, over 50 CUDA containers for deep learning, machine learning and HPC applications, all available on our NGC software hub. Last August, NVIDIA stunned the industry with the introduction of Turing and RTX real-time ray tracing technology, years ahead of expectations. And just a few months later, ray tracing swept through GDC with unprecedented support by developers. 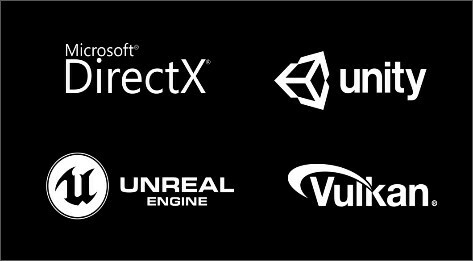 Microsoft’s DirectX and Vulkan, and the two leading game engines – Unreal Engine and Unity – announced support for ray tracing. On the ground at GDC, the excitement among developers for ray tracing was palpable. The sessions on ray tracing were packed, with many needing to be turned away. Games that support ray tracing and NVIDIA AI-powered DLSS technology include Battlefield V, Shadow of the Tomb Raider, and Metro Exodus, with a dozen more expected around the holidays. The GeForce RTX is off to a great start. At Investor Day on March 19, we disclosed that estimated sell-through of Turing-based gaming cards in the $299+ price range are about 45% ahead of the comparably priced Pascal-based cards in their combined first 8 weeks of sales. Moreover, our data suggests that 90% of Turing upgrades are for a card in a higher price tier than the one they’re replacing. Beyond the RTX family, software ray tracing is now coming to tens of millions GPUs with the announcement that we’re bringing support to GeForce GTX GPUs. For gamers using GeForce GTX 1060 6GB or higher GPUs, an April driver update will allow them to experience ray tracing. At GTC we provided more details on our cloud gaming strategy through our GeForce NOW (GFN) cloud gaming service and the newly announced GFN Alliance. GeForce NOW is a gaming PC in the cloud for the 1 billion computers (e.g., Mac or integrated graphics) that are not game ready. This expands our reach well beyond the 200 million GeForce gamers today. GFN is an open platform, allowing users to “bring their own games” from the top stores. There are already more than 500 games supported on GFN, with more added every week. With 15 GeForce NOW data centers in North America and western Europe, the service currently has 300,000 monthly active users and over 1 million on the waitlist. We’ve spent the last decade building GFN to be the premier PC gaming experience in the cloud, optimizing every millisecond and reducing latency to a point where it’s negligible for most players. 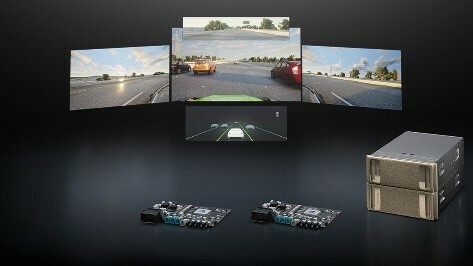 The best cloud gaming experience pairs high-performance graphics with high-speed, fixed-line and mobile broadband networks for low-latency and consistent quality of service. To scale out to millions of gamers worldwide, we announced the GeForce NOW Alliance, expanding GFN through partnerships with global telecom providers. Softbank and LG Uplus are among the first partners to launch GFN in Japan and Korea. They buy RTX servers from us and operate from their data center and networks; NVIDIA will develop the software, on-board games, and manage the service, and will share subscription revenue with the Alliance partners. Our new RTX blade servers are optimized for data center graphics. Each RTX blade server packs 40 GPUs into an 8U space and can be shared by multiple users with NVIDIA GRID graphics virtualization software. We believe that every vehicle that moves will have autonomous capability one day. NVIDIA has created an end-to-end platform for autonomous vehicles. There are over 370 companies developing on NVIDIA’s scalable open AV platform, including passenger cars, trucks, shuttles, and robotaxis. We see this as a $30 billion addressable market opportunity by 2025. At GTC, Toyota announced it has selected NVIDIA’s end-to-end platform to develop, train and validate self-driving vehicles. This broad partnership includes advancements in AI computing infrastructure using NVIDIA GPUs, simulation using the NVIDIA DRIVE Constellation platform, and in-car AV computers based on DRIVE AGX Xavier or Pegasus. In addition to Toyota, we announced partnerships with Volvo, Continental and ZF for L2+ Autopilot cars with production slated for the early 2020’s. Mercedes Benz has also selected NVIDIA to help create the future car computers for both AV and its AI cockpit. We announced the NVIDIA DRIVE Constellation is now available for customers. The NVIDIA DRIVE Constellation enables millions of miles to be driven in virtual worlds across a broad range of scenarios — from routine driving to rare and dangerous situations — with greater efficiency, cost-effectiveness and safety than what is possible to achieve in the real world. Simulation will become a key component for third-party and regulatory autonomous vehicle standards. Safety agencies such as TÜV SÜD are already using the platform to formulate their self-driving validation standards.